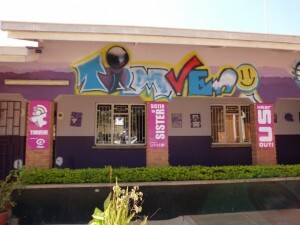 Timveni is to become the first child-run TV-station worldwide. In Malawi, the project has now been granted a license to run its own TV station. With that the project which was originally introduced by the organization Plan Malawi reaches a higher level in the journalistic world in Malawi. Besides that the empowerment of children in the country has been advanced to a high extend. In 2006, the Timveni project was introduced by Plan Malawi, funded by Plan Sweden and UNICEF. The aim of the project was giving the many children and youths in Malawi a voice. Timveni works as a platform for the young majority in Malawi to participate in public journalistic discourse and further gives them the opportunity to point out the realities of their own very basic rights as children. After the inauguration in 2006, only five years later Timveni became an independent organization. Now the dream of the founders of the project became true. 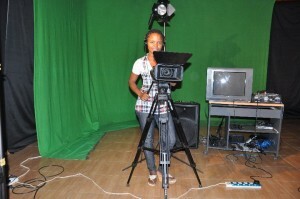 The Malawian government has issued a permit to Timveni to run its own child focused TV station. In total 16 media companies applied for such a license while only six finally got it. With such a move, the Malawian government is the first one in Africa which makes the concerns of children and youth being heard to such an extend. This is a positive step as it will raise awareness of children’s capacity to participate in their own protection whilst seeing the live presentation of fellow children giving stories that will impact communities on child rights…The reality of children’s rights being realised here in Malawi has come. We thank the government of Malawi for this bold step. Timveni is an inspiring flagship project in Malawi which has the capabilities to diversify the Malawian media landscape to a high extend. Finally, children and youths got the opportunity to work totally independently on their own platform in order to let their concerns be heard.